We are still yet to see a glimpse of Nokia’s new line-up for the Windows Phone platform. There is some confirmation that some of them will pack a dual-core processor. ST-Ericsson, a joint venture between Geneva-based STMicroelectronics and Swedish telecom equipment and services supplier Ericsson, has been admitted to the Windows Phone ecosystem. ST-Ericsson will now be one of two chip suppliers for Nokia’s upcoming Windows Phones. The company’s partnership with Nokia has taken place after Nokia teamed up with Microsoft. The first ST-Ericsson chipset that will appear in a Nokia Windows Phone is said to be the the U8500 which is a dual-core system-on-a-chip that has been compared to Qualcomm’s Snapdragon line because it offers multiple wireless technologies like Wi-Fi, Bluetooth, GPS and a fast, built-in HSPA+ modem, all in a compact format. 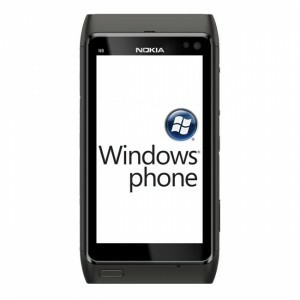 Some later Nokia Windows Phones – the company had previously said it is planning to release 12 Windows Phone devices over the course of 2012 – will run on future versions of the U8500.